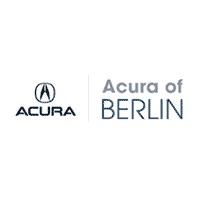 I leased a 2019 MDX from Acura of Berlin. Jerry was very helpful and the process went really well. I'd recommend this dealership; they were very good to deal with. Had a great experience at Acura of Berlin mostly because of Easton Lawson. He was very knowledgeable, professional, and patient with answering our questions and explaining the many features of the car. Definitely recommend purchasing an Acura with Easton. The sales experience was excellent from start to finish. Gerald Campana was very professional, understood my needs, went out of his way to make sure I was completely satisfied and was very patient. I wouldn’t buy or service my car anywhere else. Fantastic service always! Everyone goes out of their way to make sure you are taken care of and not inconvienced. Great experience.Nice 2014 TL. Lets see how it goes. Jerry and Joe were the best.